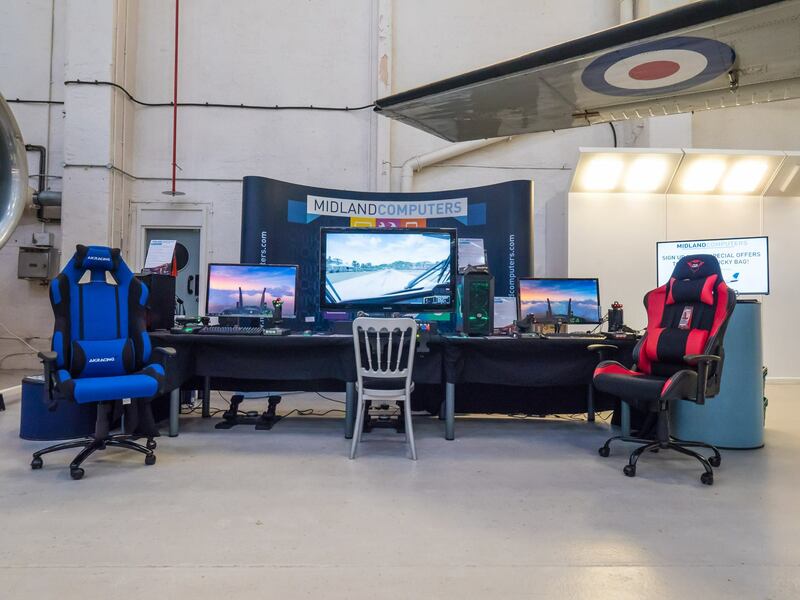 By combining our Technical Director’s personal interest in flight simulation with our existing gaming expertise, flight simulation has become an important aspect of our showroom offering. 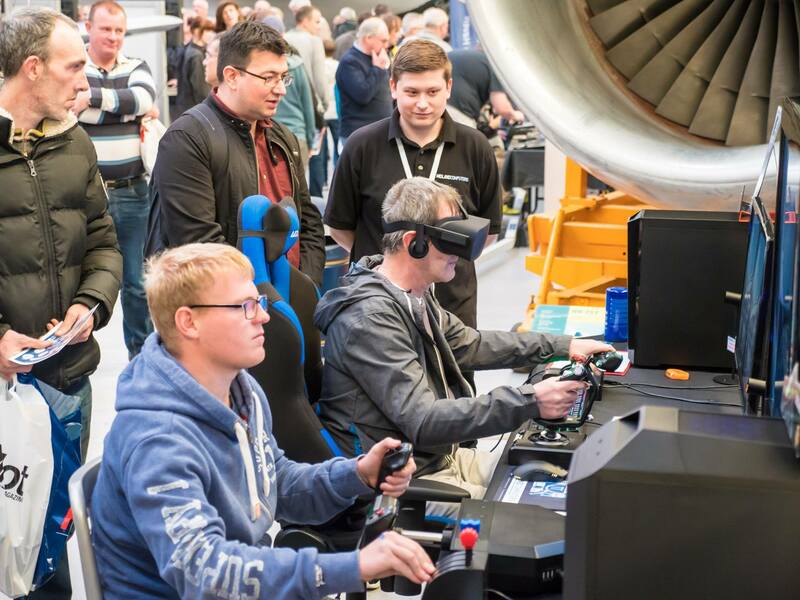 Over the past few years flight simulation has progressed rapidly. 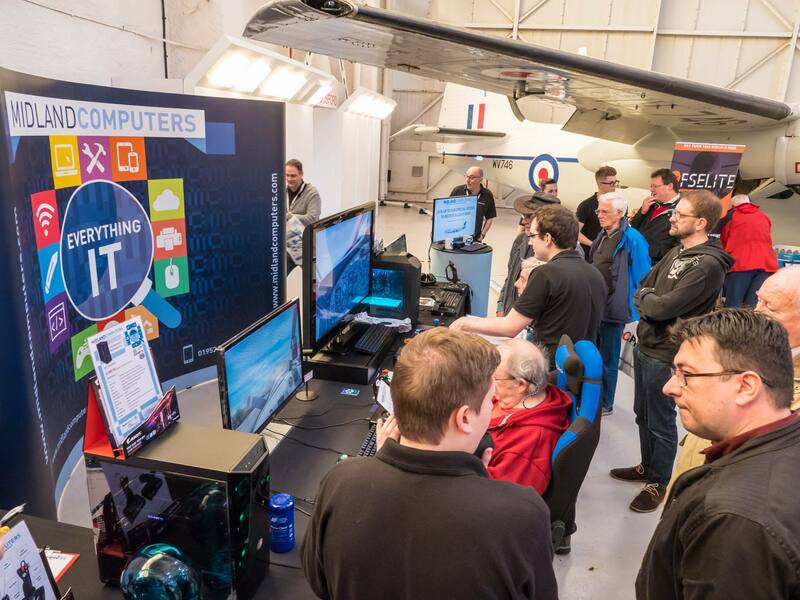 For a number of years the most well-known simulation software was Microsoft Flight Simulator X, but Microsoft ended development of this in 2009 and sold the commercial version rights to Lockheed Martin. 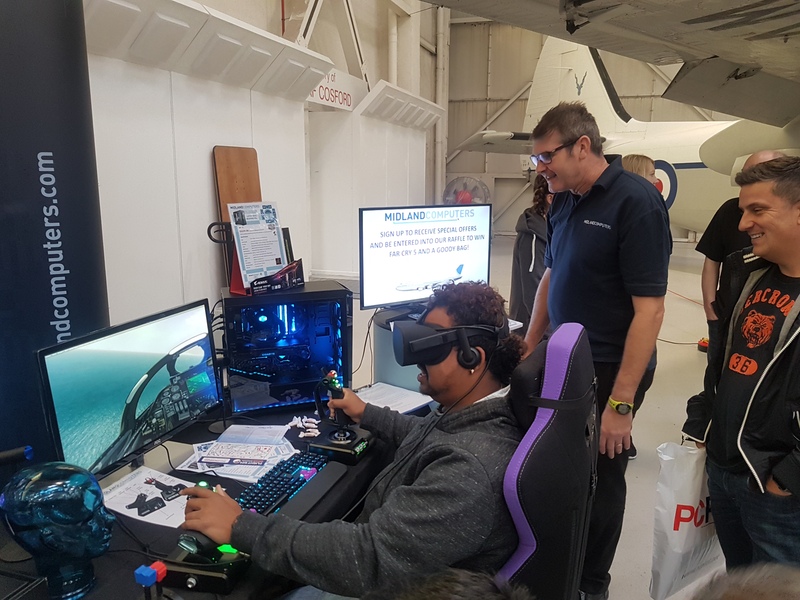 Lockheed used this as a basis to produce their commercial simulator Prepar3D, which has had continued development since 2011 and can utilise the capabilities of current PC hardware far better than its predecessor. 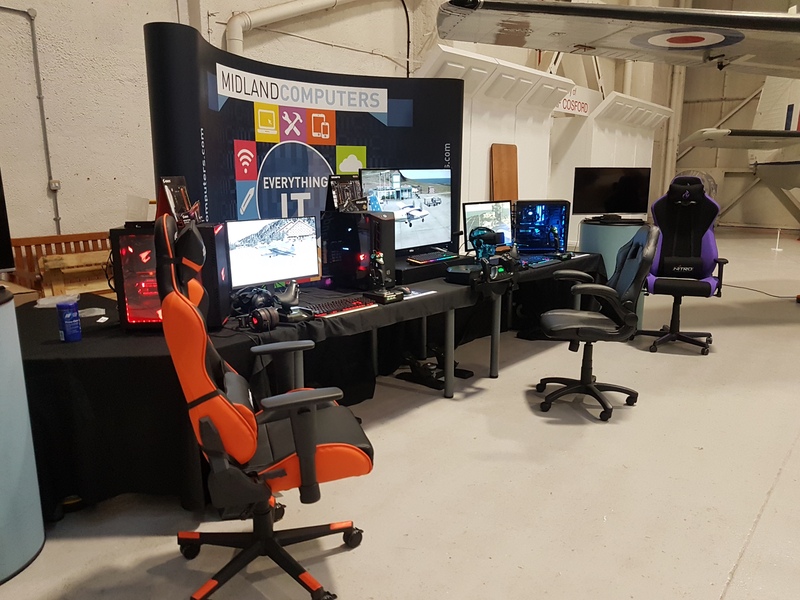 Our Technical Director Ian is enthusiastic about aviation, having previously served in the Royal Air Force, and realised after upgrading from FSX to Prepar3D himself that the improved experience it offered presented an opportunity to build on our long-standing specialisation in gaming PCs. 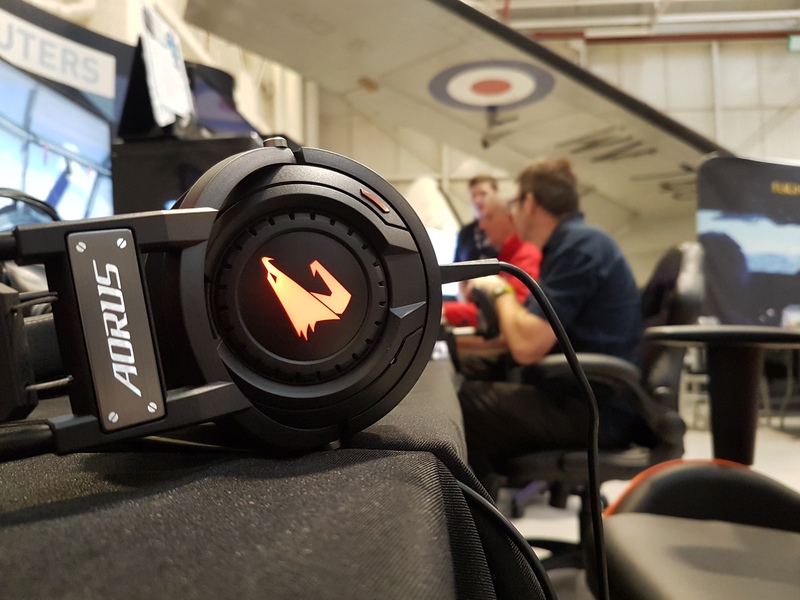 The component specifications required for flight simulation are similar to what we provide for general gaming use, and when suggesting PCs for both requirements we carefully tailor our recommendations to your specific requirements and budget. 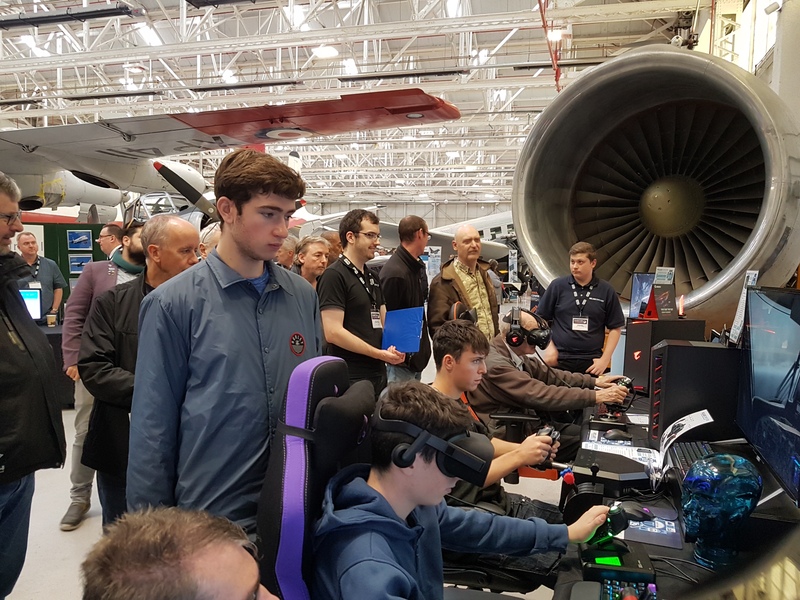 With flight simulation however we consider the hardware to be only half the story, as there is typically a significant difference in how the PC is used. 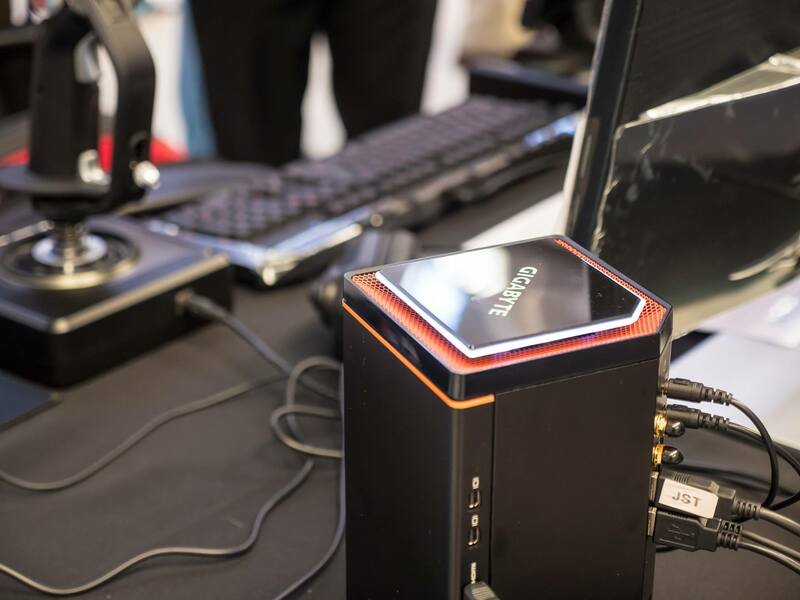 While a gaming PC is used for entertainment, the games being played could vary on a regular basis. 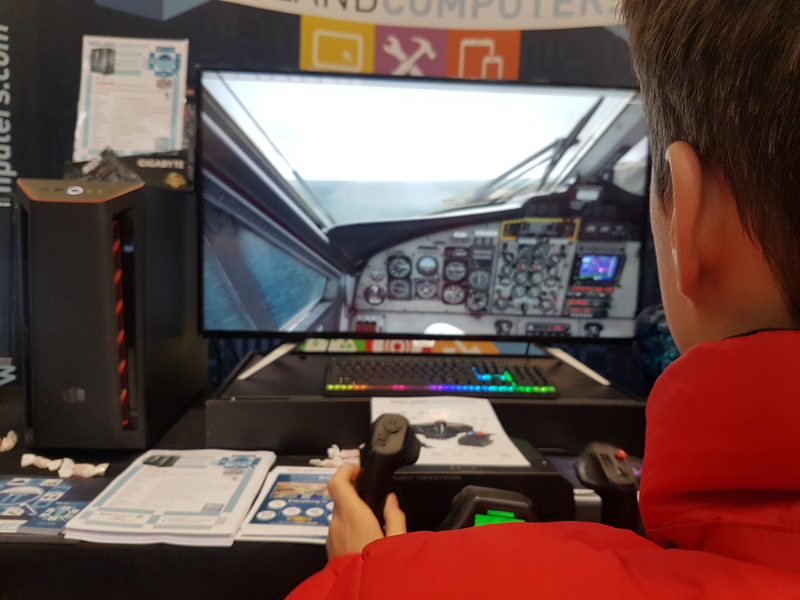 In contrast, flight simulation enthusiasts tend to stay with their preferred software, and in many cases aim to master flying their favourite types of aircraft in specific locations. 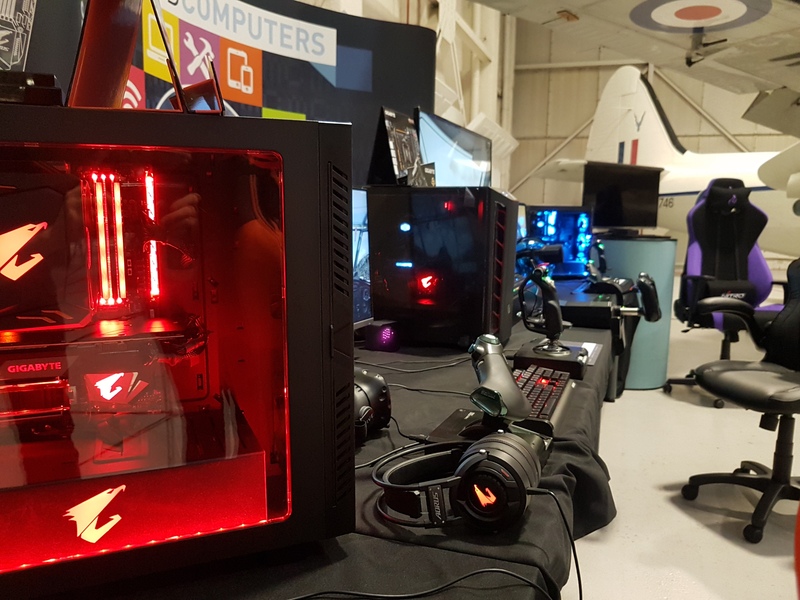 The simulation PC consequently becomes more of a specialised tool with which to enjoy your hobby, and often needs to be configured to provide the best possible experience. 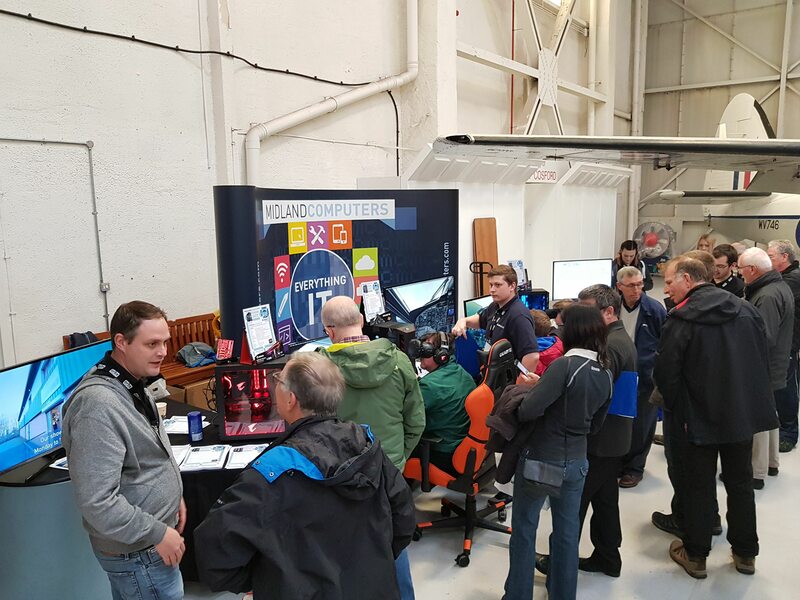 With this in mind, we are pleased to be able to offer a complete service for Prepar3D systems. 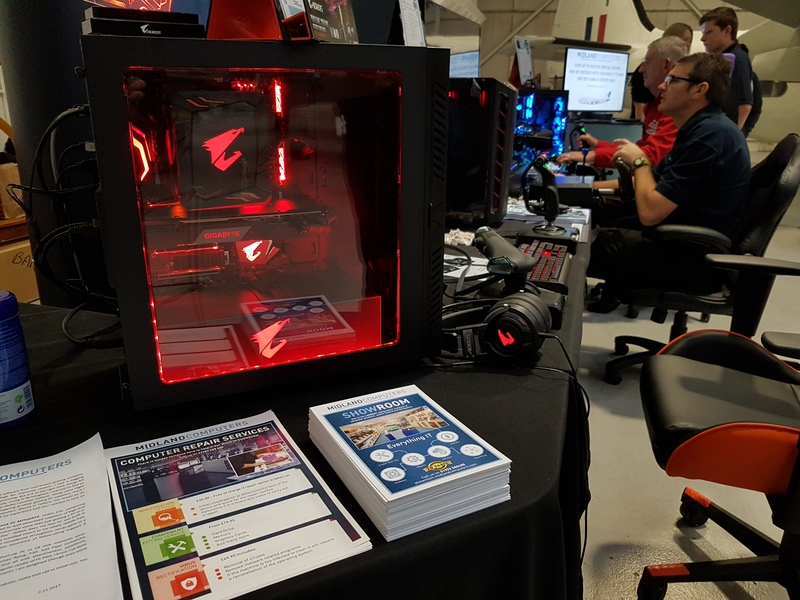 We can walk you through the process of purchasing your Prepar3D licence, install it on your new PC and install your choice of third party expansions. 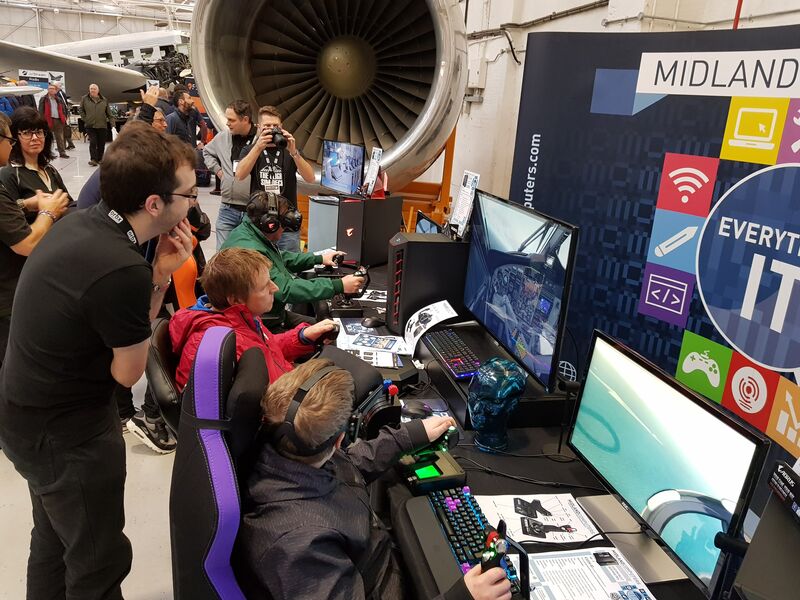 We can also supply specialised flight control gear from the Logitech G range (formerly produced by Saitek) and configure these to give the control inputs you need. 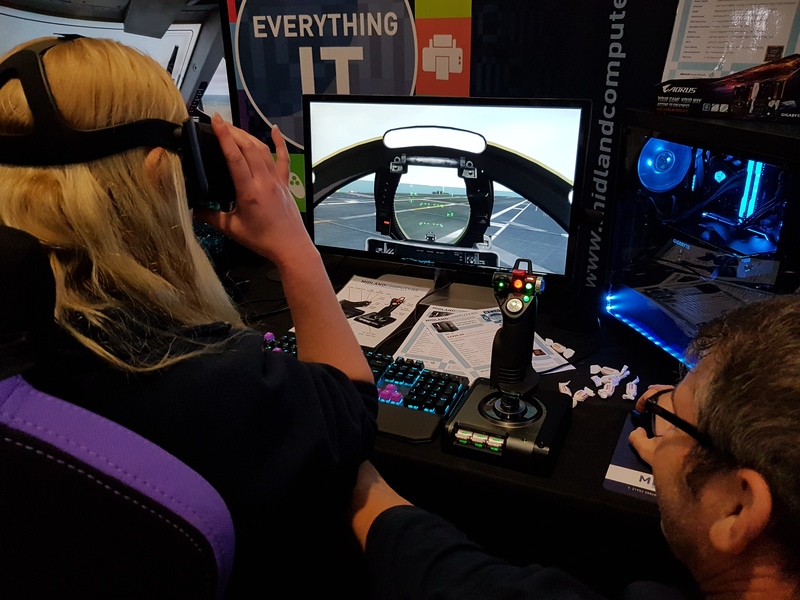 We can offer configuration of virtual reality headsets, which are becoming increasingly popular for flight simulation due to the incredible immersion they offer. 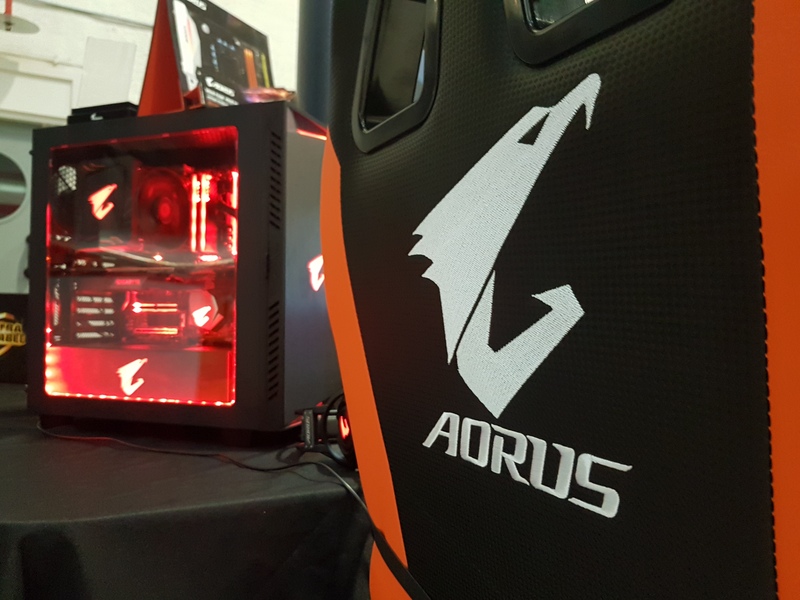 We can even provide on-site installation if desired. 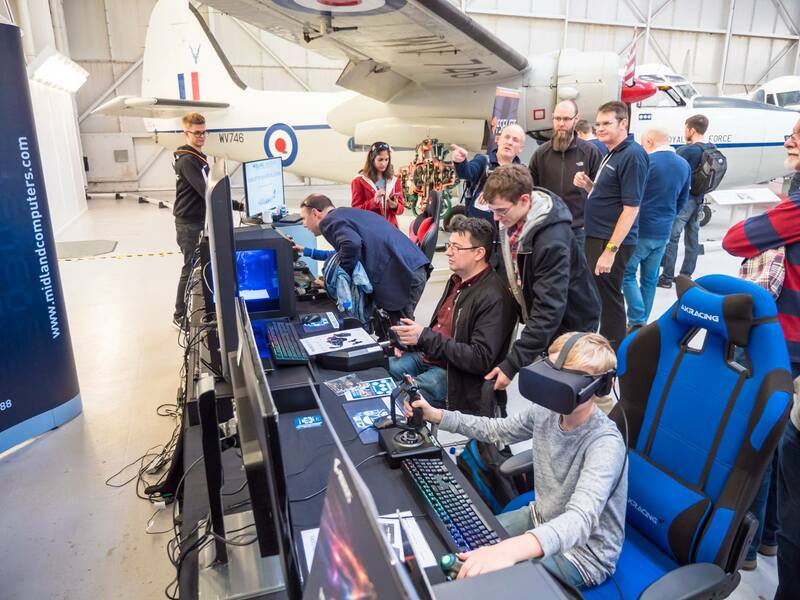 You can then get straight into enjoying your flights, knowing you have one point of call if you experience any issues or need assistance in future with software upgrades and expansions. 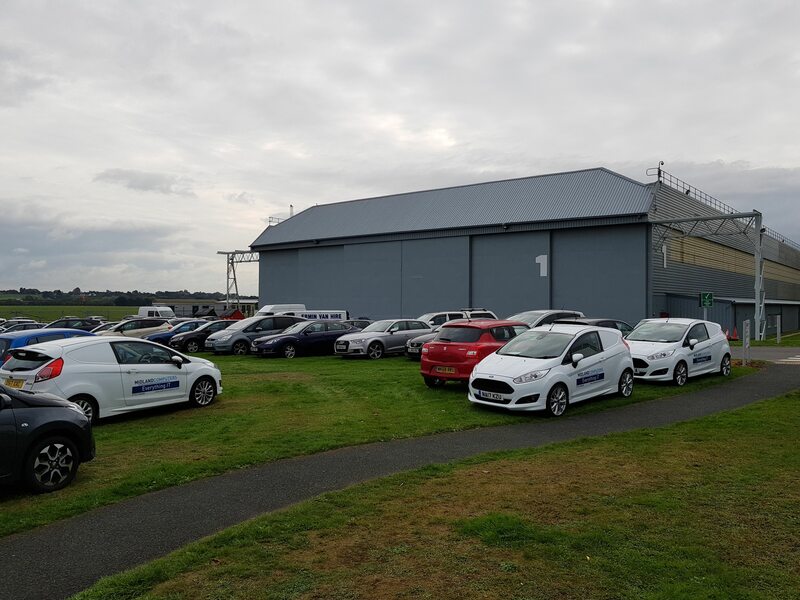 Whatever your requirements, we will be happy to discuss how we can help. 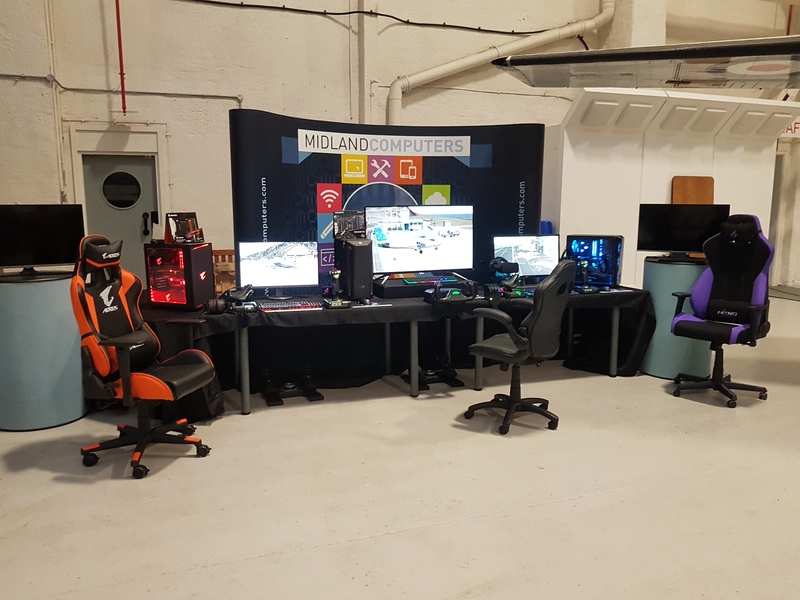 You can contact us by email, online chat or phone. 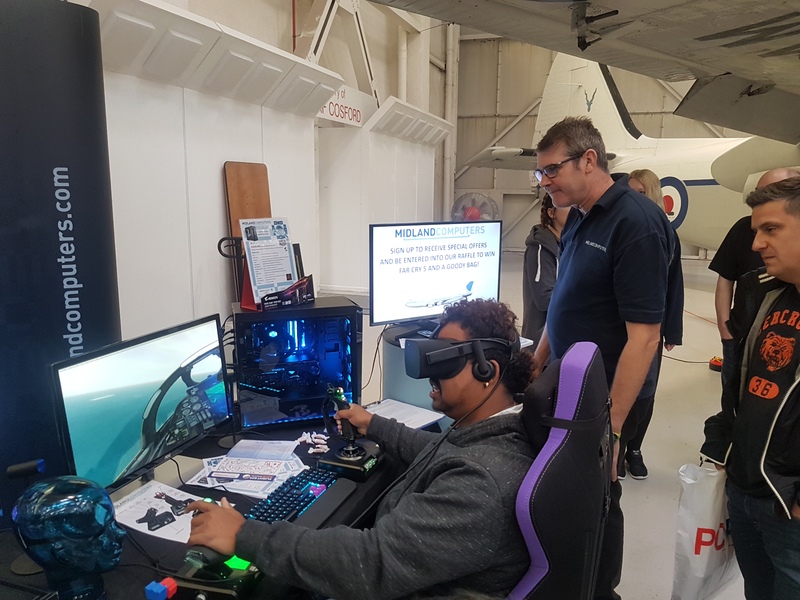 You may alternatively prefer to visit us in person in our showroom, where we have a Prepar3D demo machine with an Oculus Rift virtual reality headset permanently set up. 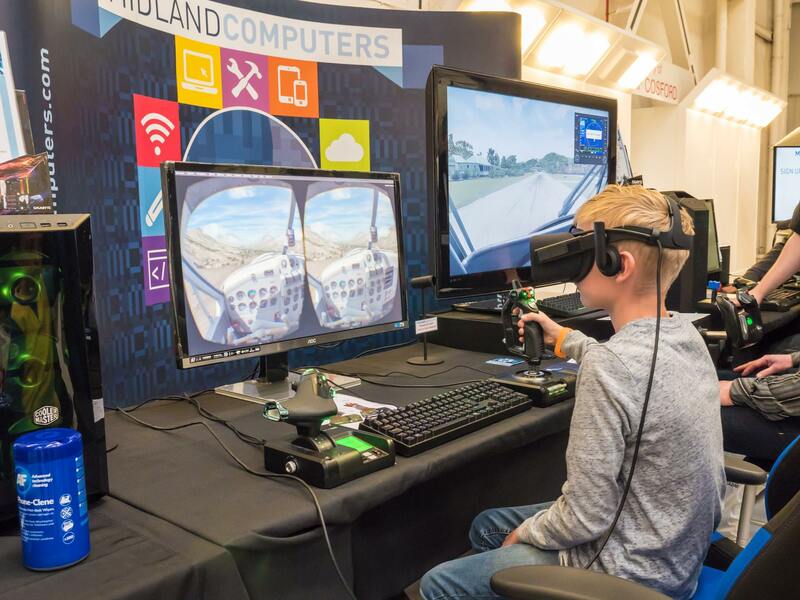 This year we noticed an increased interest in the use of virtual reality headsets for increased immersion. 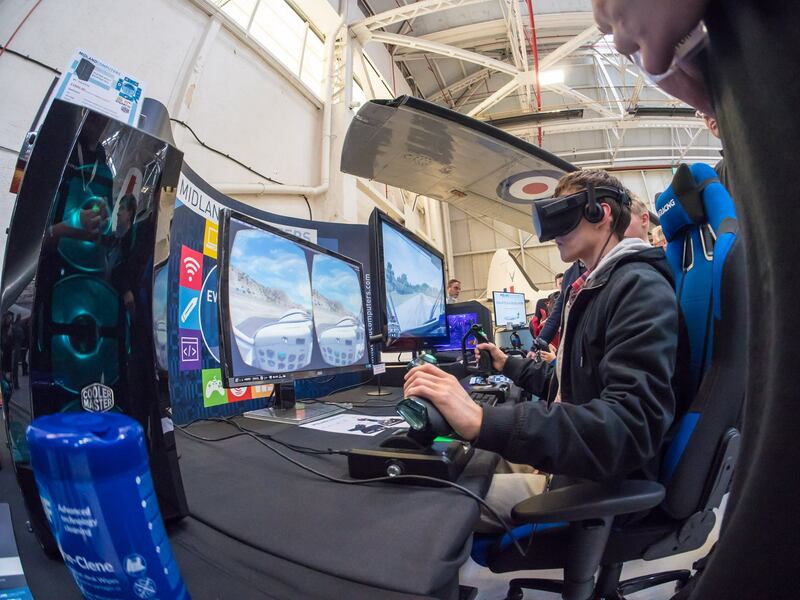 Being able to sit inside the virtual cockpit during your flight certainly seemed to appeal to more of you this time! 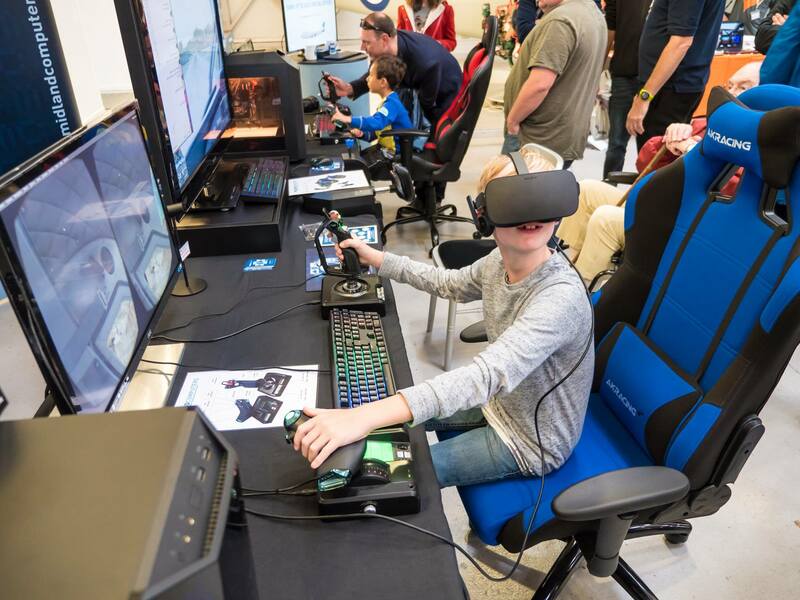 We have experience of configuring and using both the Oculus Rift and HTC Vive, and took examples of each of these leading VR headsets to the show. 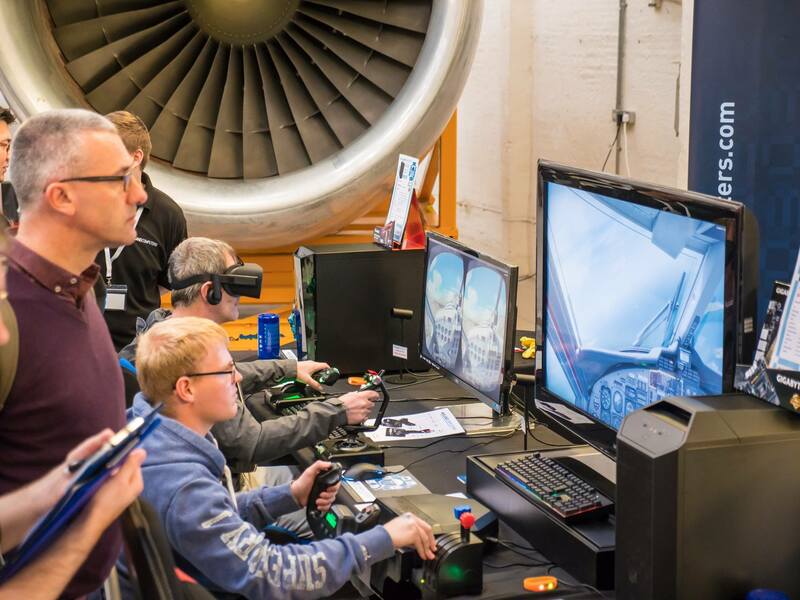 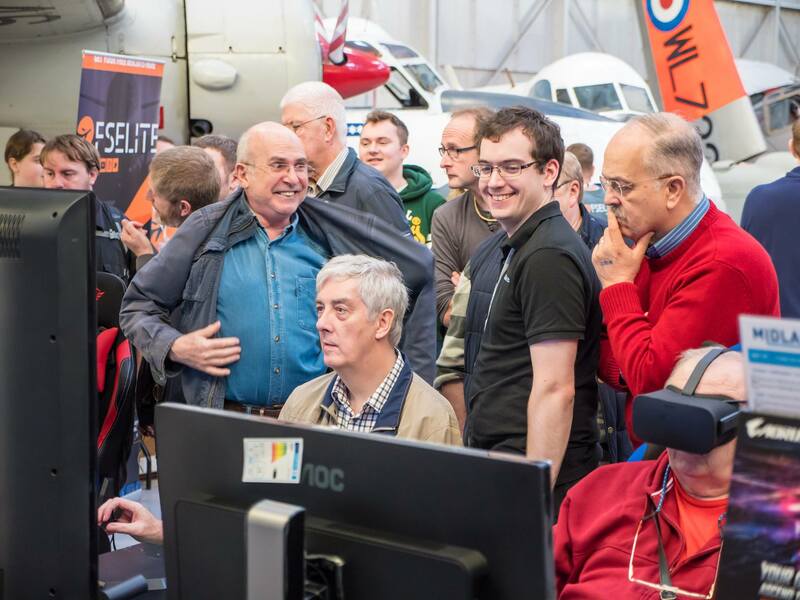 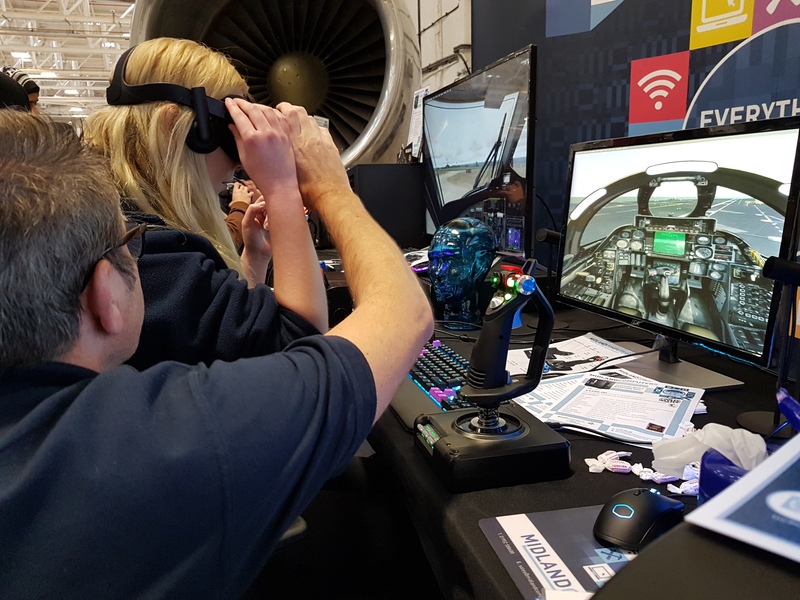 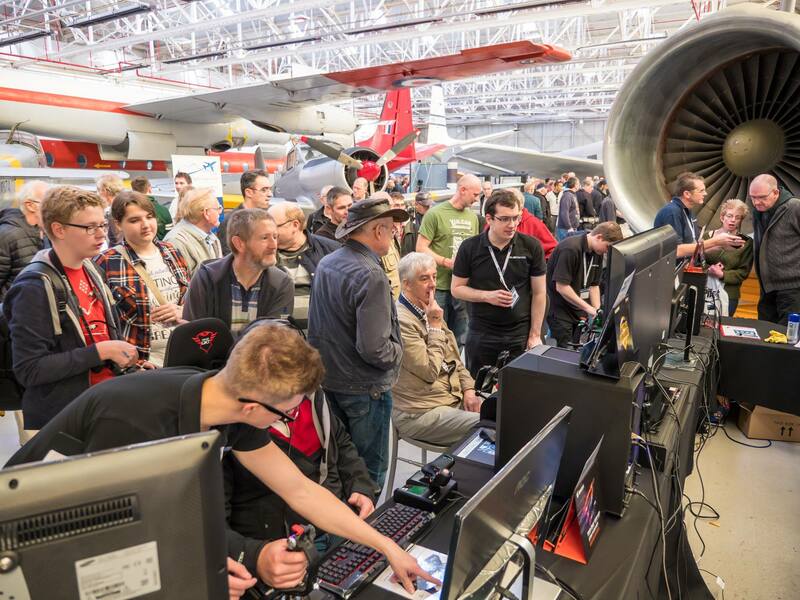 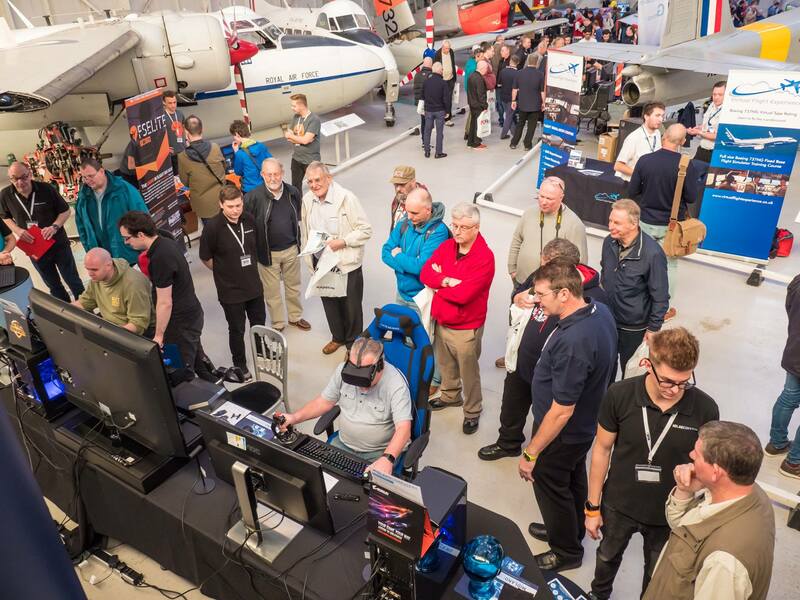 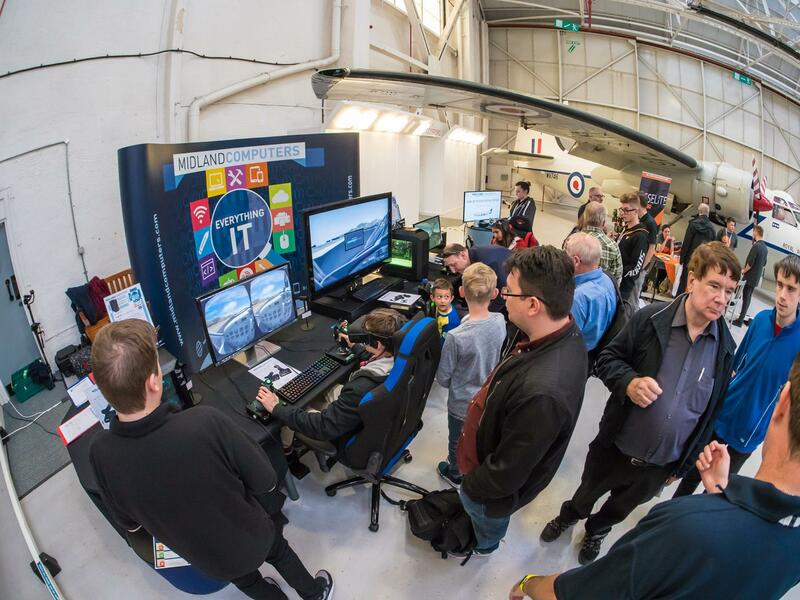 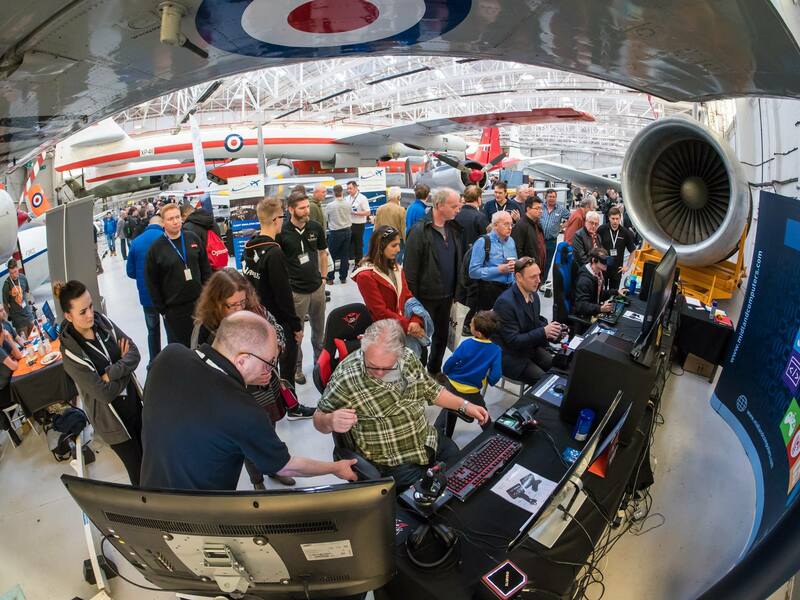 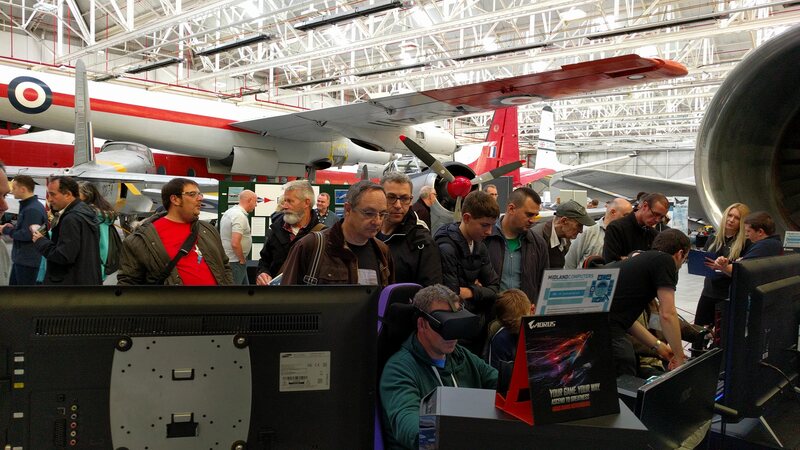 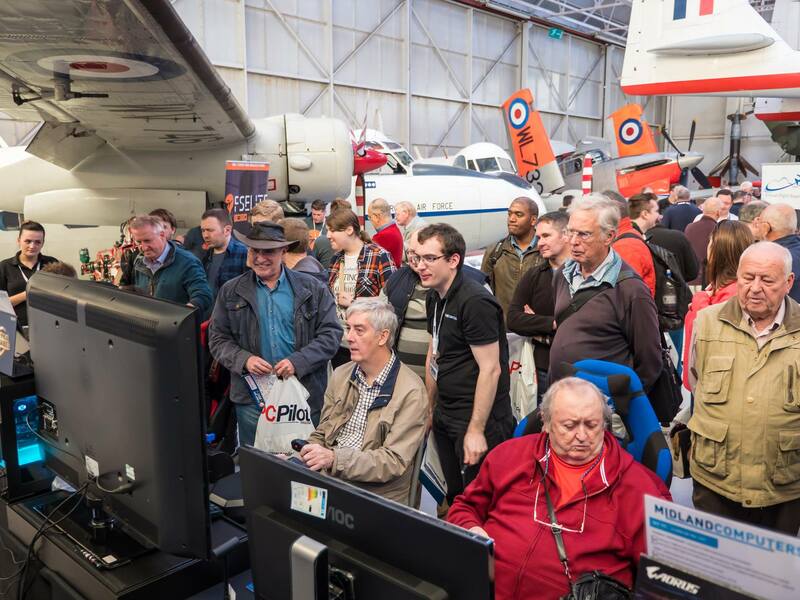 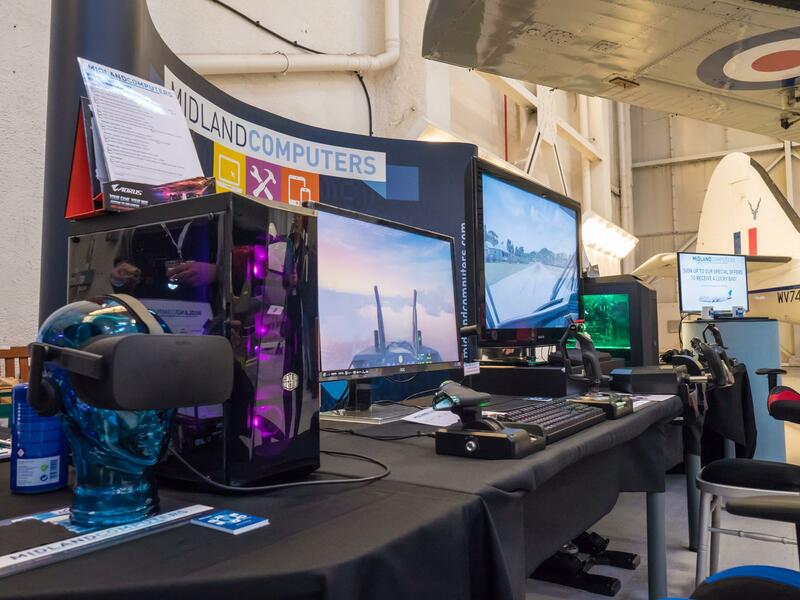 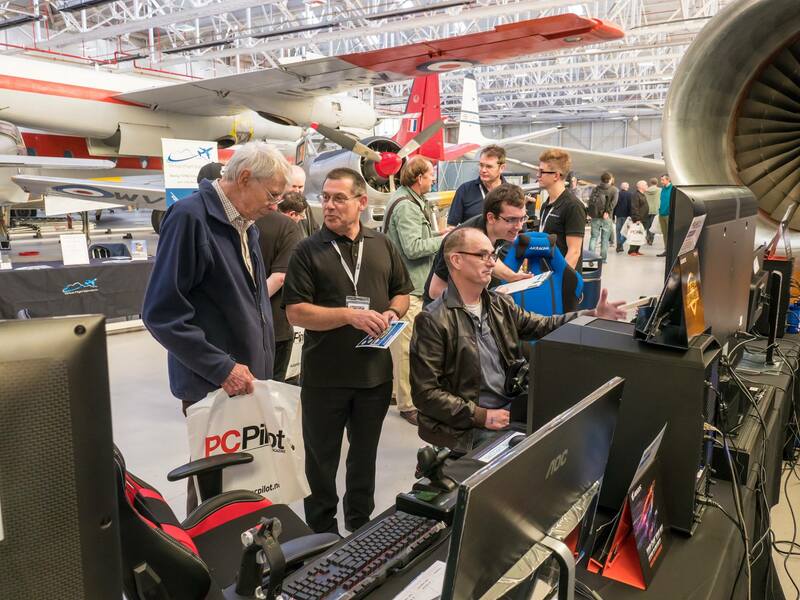 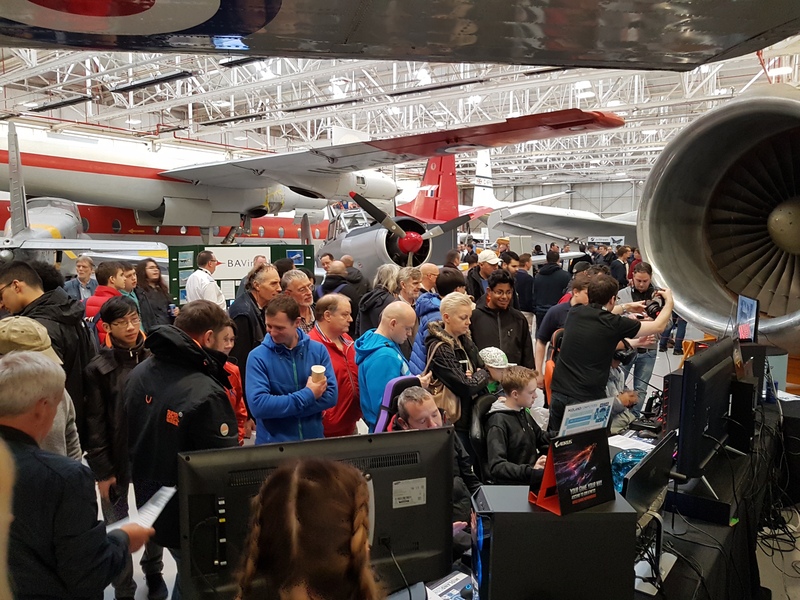 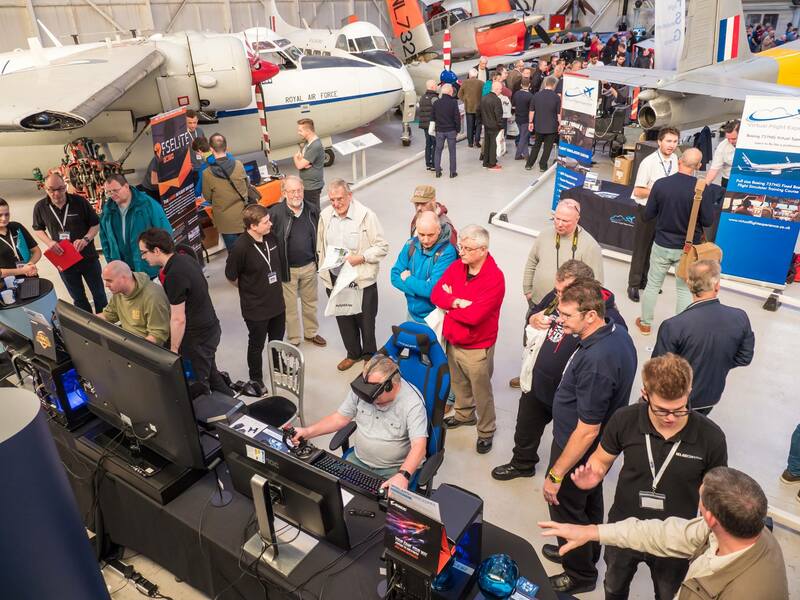 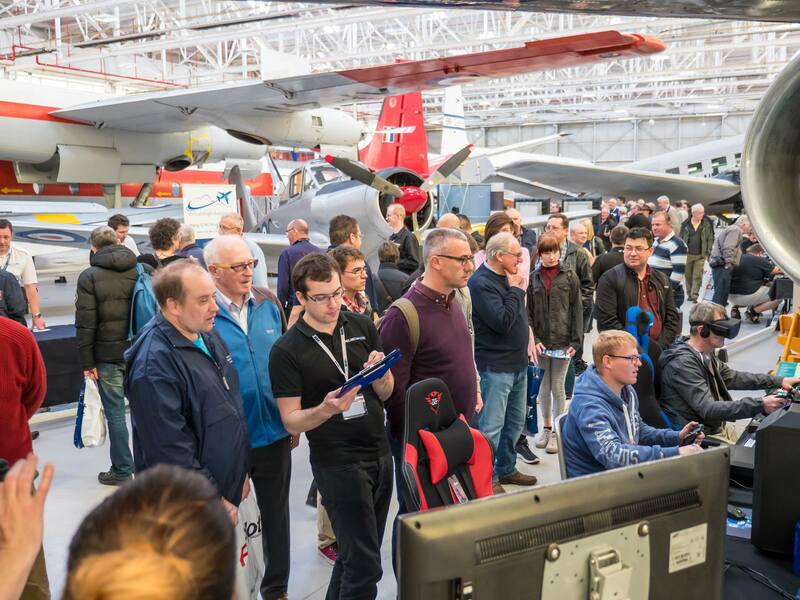 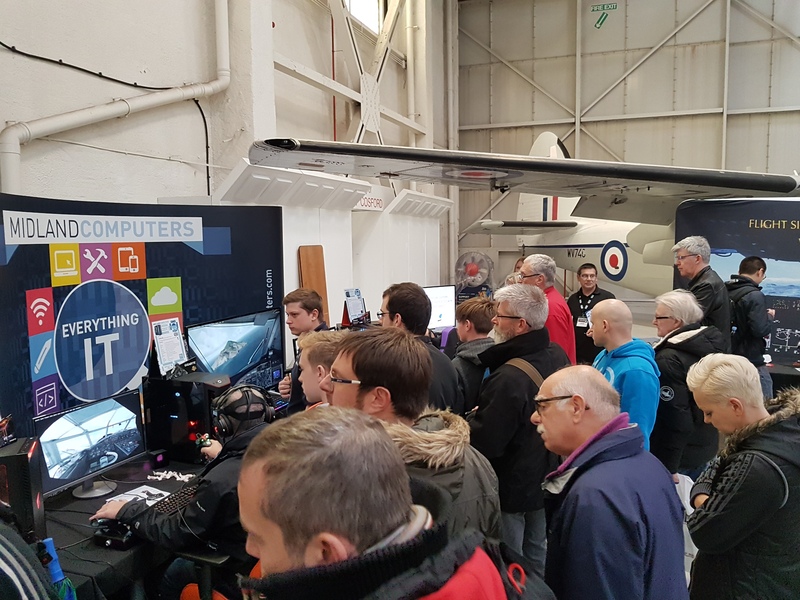 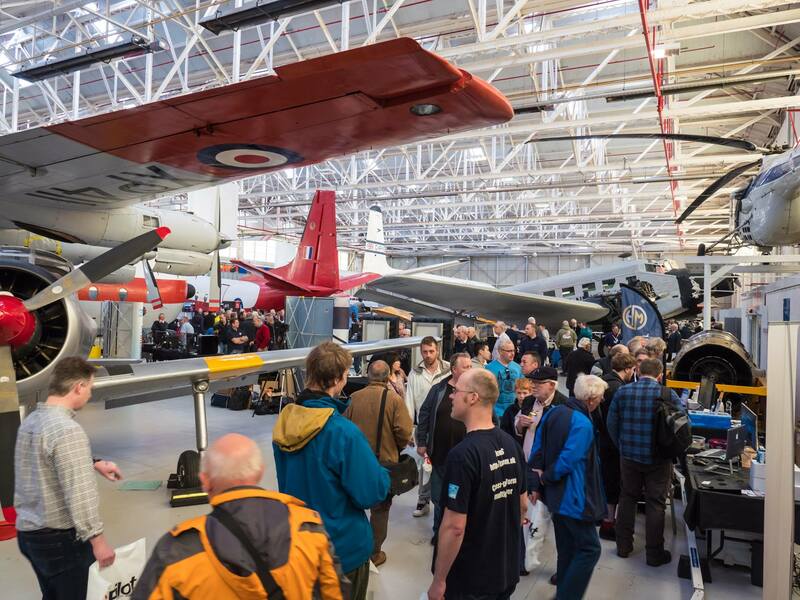 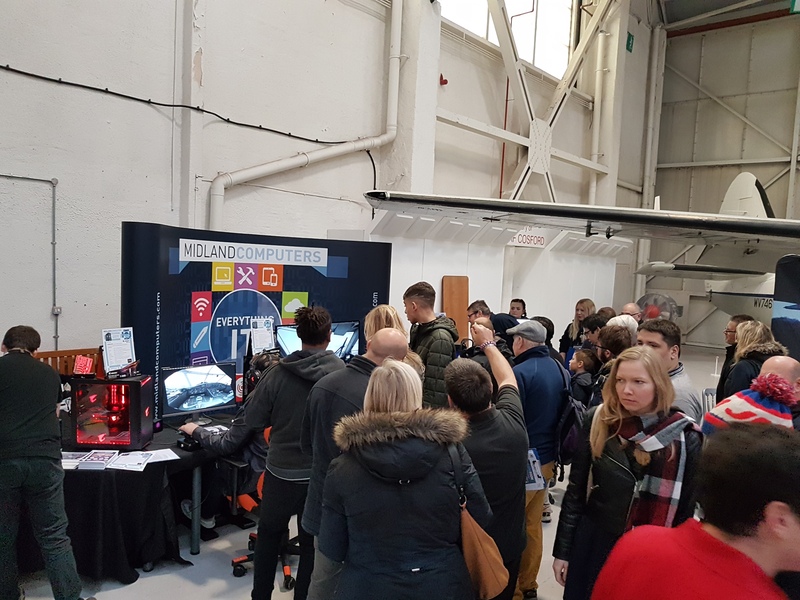 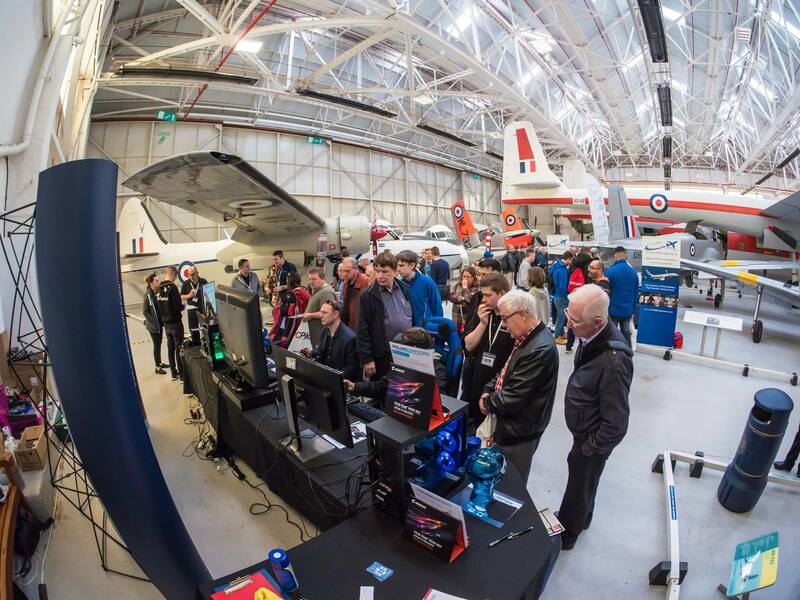 Having the two together on our stand gave show visitors the unusual opportunity to try them almost side by side, albeit connected to different PCs and with different aircraft and scenery. 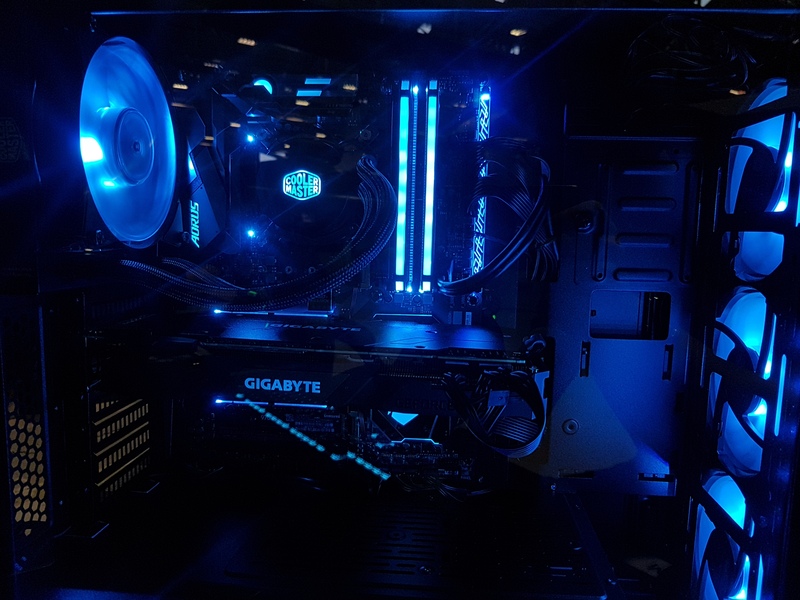 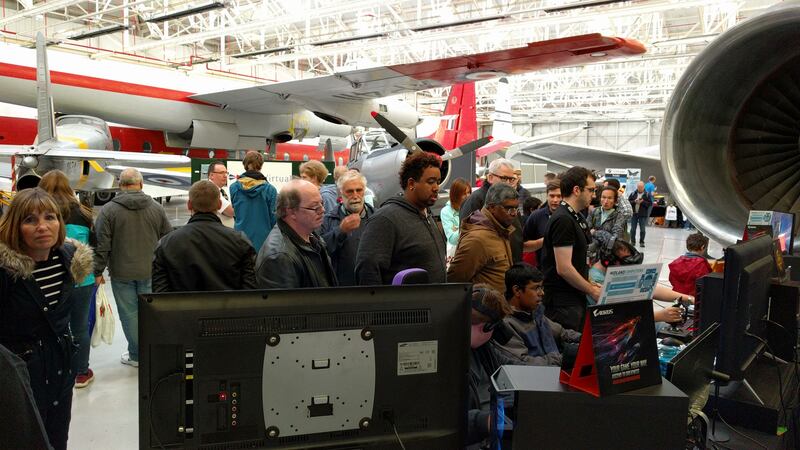 We talked to a number of you about your PC requirements on the day, but we realise that the hustle and bustle of the show environment isn’t always ideal for this. 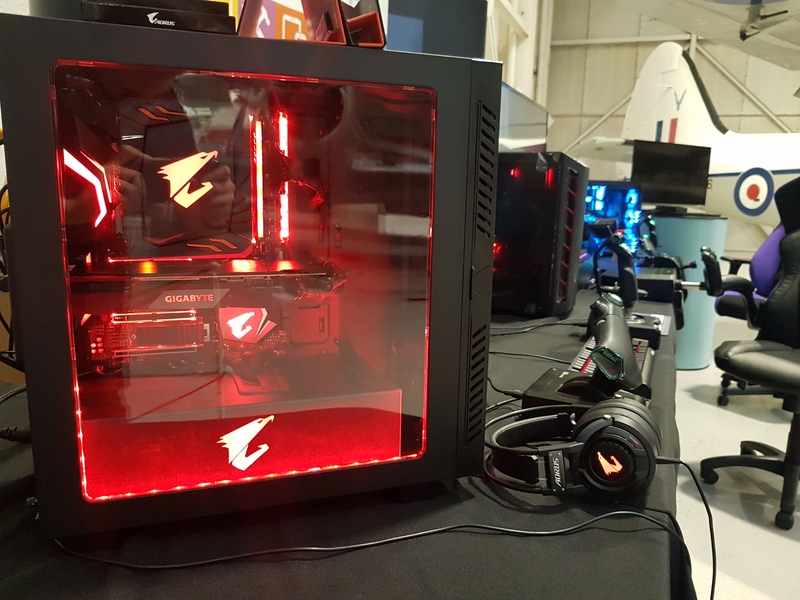 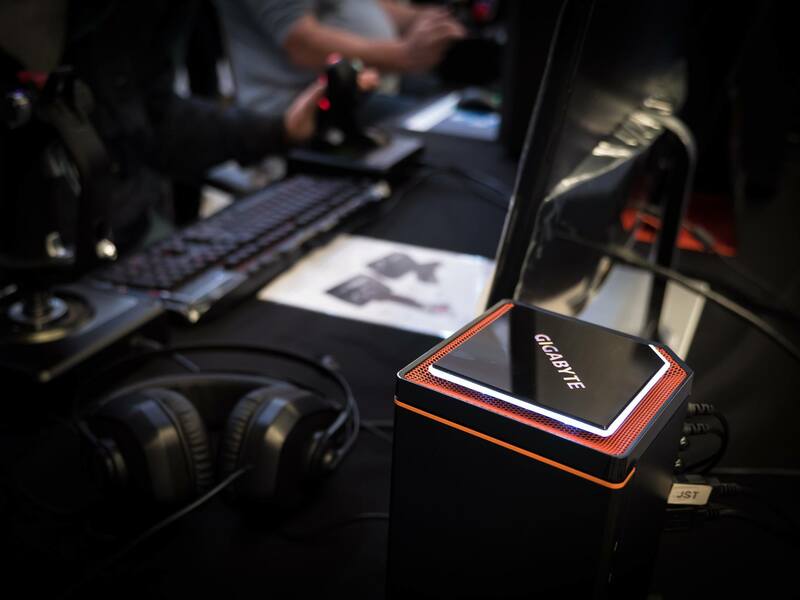 If you couldn't make it to the show or would like to experience one of our demonstration PCs in a quieter environment, you can visit us in person in our Telford showroom and experience the ‘MF-AR7’ AMD Ryzen 7-based PC that was in use on the day. 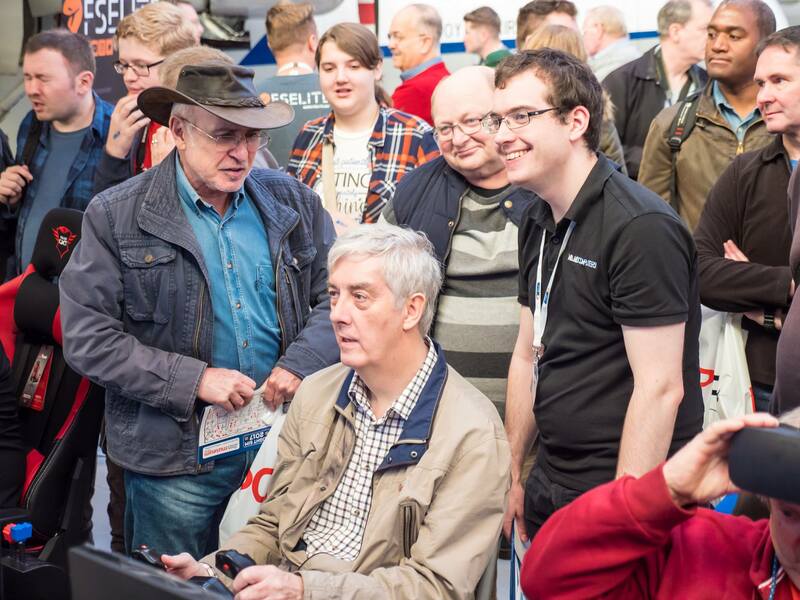 Alternatively we’ll also be pleased to discuss what we can do for you by phone, email or our showroom website’s online chat facility. 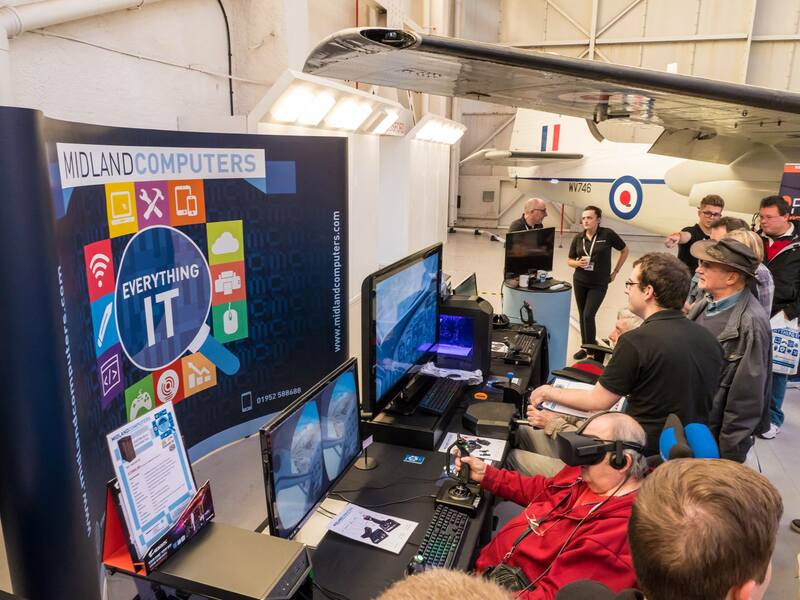 As ever, our aim is to provide you with a complete solution rather than being just another system builder. 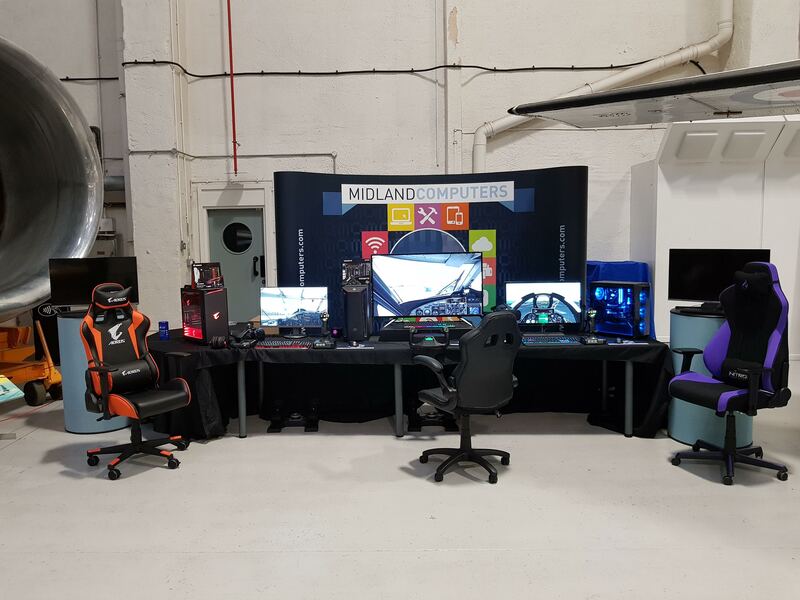 We pride ourselves on our personal approach, guiding you through the purchase of your new flight sim computer and accessories, and can optionally install and configure Prepar3D and associated add-ons to get you flying as soon as possible.